George Lamb is an English radio and TV presenter. Lamb also presented his own show on BBC Radio 6 Music; a show mixed banter with his Ministry of Sound DJ co-host Marc Hughes and Jamaican patois and dance-hall music. One regular contributor was Dr Michael Brooks, the scientist and author of the now best seller 13 Things That Don't Make Sense. In 2007, he replaced Alex Zane as the host of the second series of BBC reality show Celebrity Scissorhands and returned in 2008 for the third series. He has also presented The Restaurant, Road To V, and Young Butcher of the Year, as parodied on Harry Hill's TV Burp. Lamb has been the presenter of Big Brother's Little Brother (or BBLB) since summer 2008, taking over from Dermot O'Leary who had presented BBLB since 2001. He first presented the show with co-host Zezi Ifore, though she was sacked halfway through the series, leaving Lamb the sole presenter; for the final series of BBLB in 2010, Emma Willis joined Lamb as co-presenter. On 19 February 2010, he presented EastEnders Live: The Aftermath alongside Kirsten O'Brien, interviewing the cast and production team after the first live episode of EastEnders. He took part in a reality TV show on ITV2 called The Parent Trip with his father, actor Larry Lamb. Lamb presented a programme on BBC Three exploring the world of legal party pills and herbal highs. Lamb has also presented an exclusive podcast show, once again joined by Marc Hughes as co-host, throughout September 2010 for Spotify. The show was sponsored by Starbucks Doubleshot. Lamb also took part in Channel 4's game show Million Pound Drop Live on 29 October 2010, alongside with his father, Larry Lamb. They survived the final question with £50,000 for the charity Plan. 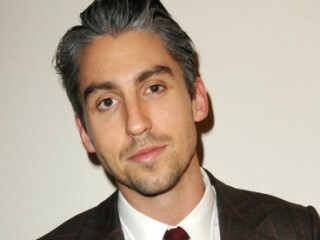 View the full website biography of George Lamb.